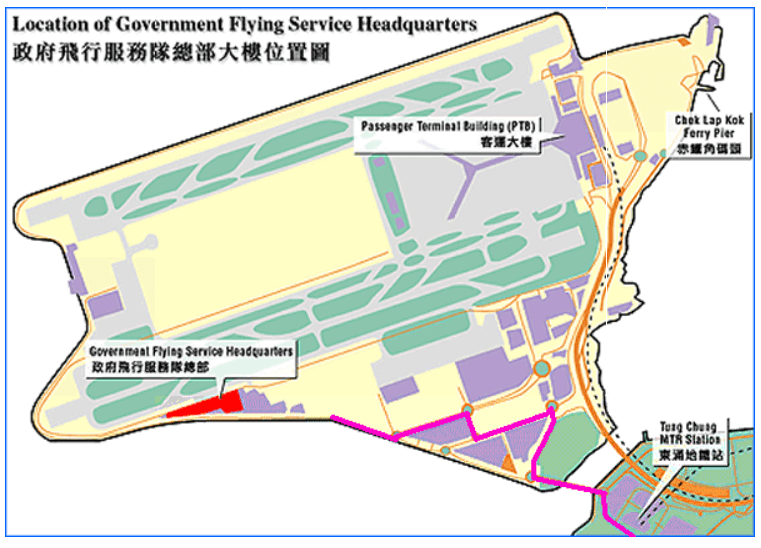 The Government Flying Service (GFS) is a department of the Government of the Hong Kong Special Administrative Region with an establishment of 273 civil service posts responsible for flight operations, maintenance and administration. The GFS began operating on 1st April 1993 immediately after the disbandment of its predecessor, the Royal Hong Kong Auxiliary Air Force. It is one of the disciplined services of the Government of the Hong Kong Special Administrative Region. The Operations Section is the core part of the department. It provides flying services, mainly for search and rescue, air ambulance, firefighting, and law enforcement agencies’ operations. The Training and Standards Section is responsible for setting professional standards and overseeing the training and development of all aircrews. The Engineering Section which is an approved HKAR 145 maintenance organization and HKAR 21 design organization, well supports the flying and operational activities. It provides virtually all the aircraft and equipment maintenance services from within its well-equipped and modern hangar and workshops. The Corporate Safety Section is responsible for steering and managing all safety related initiatives and cross-section safety management matters within the department. The Administration Section provides administrative support services to the whole department. The services it provides include human resource management, financial management, supplies and general administration. Area of Responsibility: One of the major responsibilities of the GFS lies with search and rescue operations. 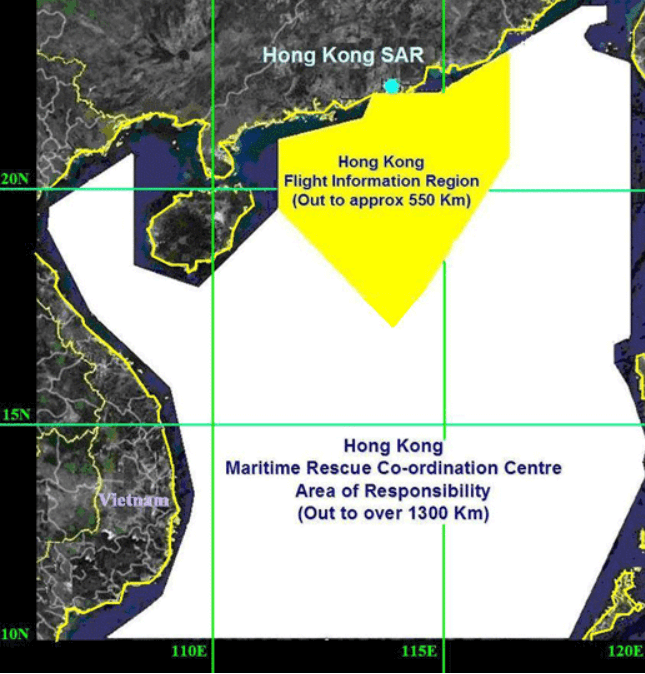 Generally, the area of responsibilities covers up to 700 nautical miles (1300 Kilometers) to include the Hong Kong Flight Information Region (FIR) and the Hong Kong Maritime Rescue Coordination Centre area of responsibility. Besides serving Hong Kong, the department also assists in missions originated from the Civil Aviation Department (CAD) and the Maritime Rescue and Coordination Centre (MRCC). The GFS is located at the south-western corner of the Hong Kong International Airport. The Fleet and Roles: The fleet of eleven aircraft comprises two Bombardier Challenger 605(CL605) fixed-wing aircraft, one Diamond DA42 twin engine fixed-wing aircraft, one Zlin Z242L fixed-wing aircraft, three Eurocopter AS332 L2 (Super Puma L2) helicopters and four Eurocopter EC155 B1 (EC155) helicopters. 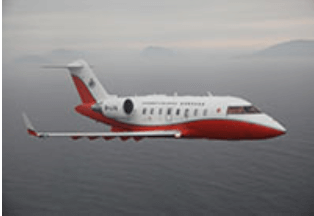 Challenger 605 fixed wing aircraft are used as the initial search aircraft for long range search and rescue operations to guide helicopters directly to the scene, thus extending the helicopter effective range and/or time on scene by eliminating their need to search. By virtue of the CL605’s sophisticated equipment CL605 is able to fly at high altitude and long distances, they are the ideal aircraft to perform regular patrols for detecting drug trafficking, illegal immigrants, smuggling and environmental pollution. The CL605’s are also modified to accommodate a modern high quality aerial survey camera to provide photographs for the production of maps, survey of land reclamation and associated tasks. IDJ adds: The GFS building at Kai Tak airport was where the HKHAA (The Hong Kong Historical Aircraft Association) had an office for a couple of years just before the handover. The GFS hangar and facilities seemed to have disappeared/demolished fairly quickly after Kat Tak closed. For more information about the GFS please see the two sources below. This article was first posted on 12th May 2018. Hong Kong’s Government Flying Service rescues 39 sailors from vessels stranded by Hato’s might SCMP 24th August 2018.